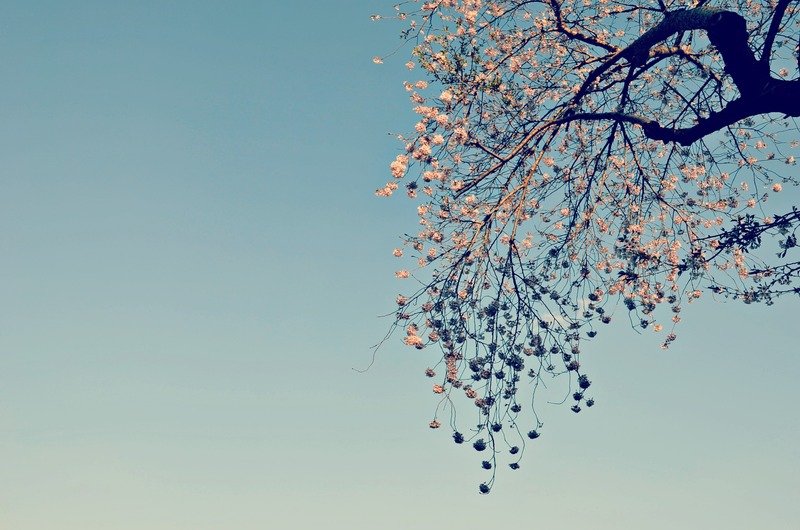 Japan, Sakura season: Why are cherry blossoms so special? Sakura season signals Japan’s official transition from Winter into Spring. 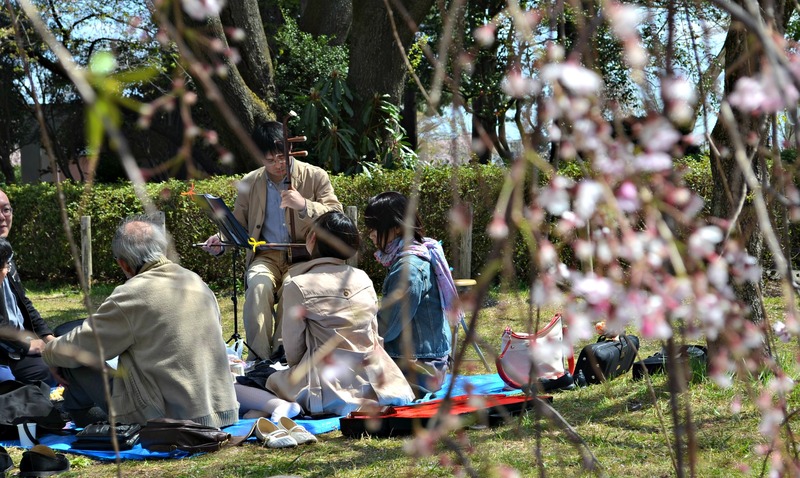 There’s a definite charge in the air that infects one with an intense want to join in the hanami (the Japanese tradition of flower viewing) festivities that centre around, quite simply, spending time with the ones you love under flower trees. It felt strange to be there alone during a time so clearly meant to be shared with those close to your heart. 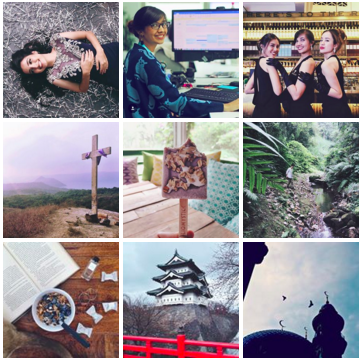 I compensated by taking lots of photos and spamming my Instagram. 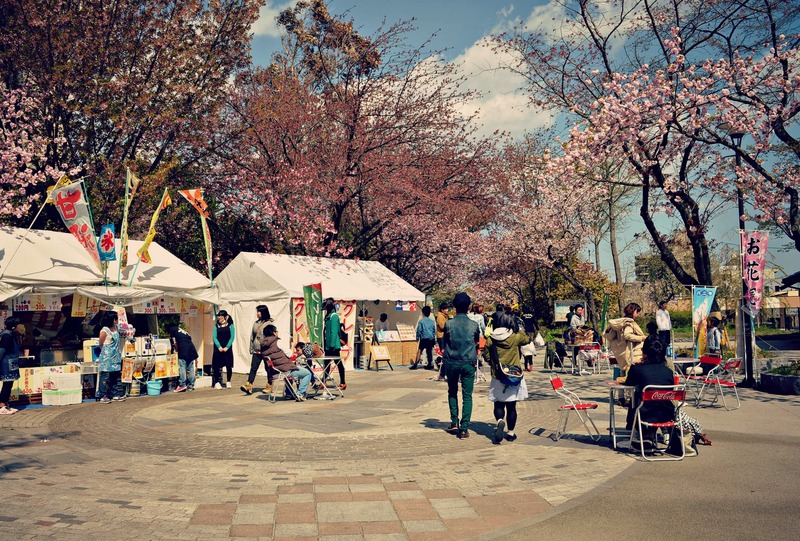 Scenes in the parks where hanami is most typically practiced reminded me of Christmas time. There is that same ‘love thy neighbour’ spirit in the air and a happy glow senselessly emanating from everything and everyone. Flowers have a special power like that I guess. Friends are out chilling with mats and picnic baskets laden with beers, chatting animatedly for hours as petals float about them. Children play football, and I am led with my ears to someone performing on a traditional stringed instrument to a group while a small crowd of listeners gather (trying not to mind me, who was creeping behind bushes trying to get a discreet shot of the scene. I wasn’t very discreet at all). All around it is smiles, laughter, quiet moments between couples, louder moments between friends. It’s impossible to even contemplate a frown in the midst of this much gentle beauty. Yet, there’s something heart-breaking about the way the Sakura trees explode into flower for just two weeks. Throughout the festivities, the trees shed their fresh petals with alarming aggression. Everywhere you look, it is a constant downward stream of light pinks. The slightest breeze provokes a veritable snow storm. Within days, the grass in the parks is replaced with carpets of petals. It is a sobering indication that this season will not last for very long at all. I asked my airbnb host in Hirosaki, what is it about Sakura that Japan treasures enough for it to become their national symbol? He said, it is a reflection of human life. It’s the fragility and temporality of the Sakura blossoms that lend them this tragic beauty. In the same way, it is the Japanese philosophy of life. Life is terribly short and fragile, these are the undeniable facts but while we are here, let us make it beautiful. I didn’t know there were so many types of cherry blossoms. My favourite are the weeping Sakura. It’s an amazing sensory experience to walk through a curtain of little flowers (and also slightly dangerous as it’s almost certain a twig will threaten to pop your eye out). 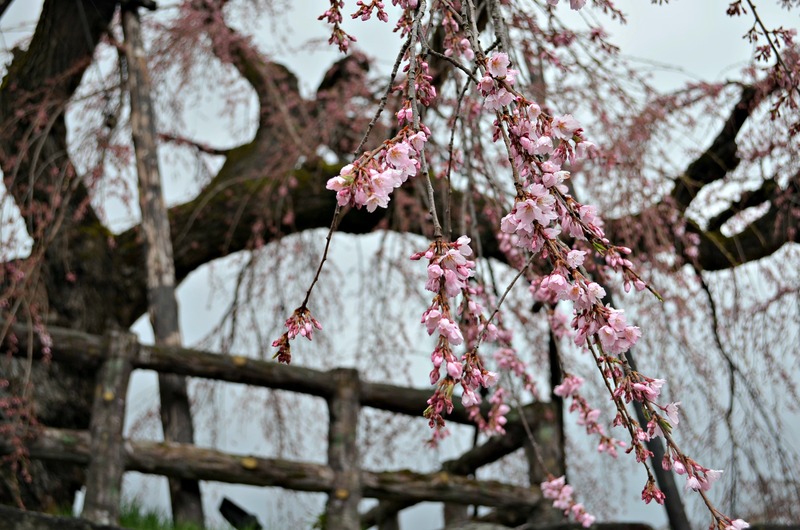 If you’re interested, here is an informative site about the varieties of Sakuras.